VEGAN + ETHICAL GIFT GUIDE. - CRUELTY-FREE BECKY. VEGAN + ETHICAL GIFT GUIDE. Cruelty-free, vegan + paraben free versions of your favourite designer fragrances. 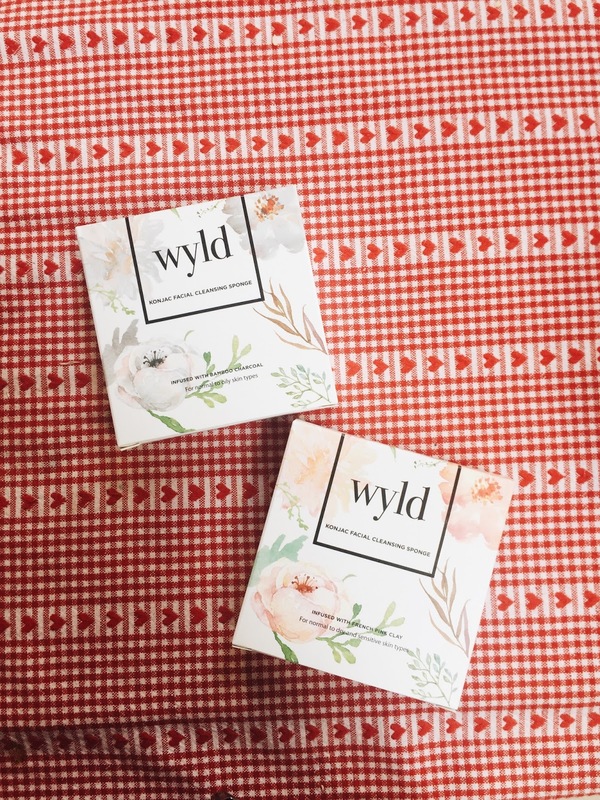 Perfect for those who have just gone cruelty free and still need to switch over their scent. Nanshy do some lovely vegan makeup tools for professionals + amateurs (aka me). My favourite product from these guys that I think would make an amazing stocking filler is their 4-in-1 Beauty Sponge. It's the best sponge out there, cruelty free or otherwise! Trust me..I've tried the lot. What makes it stand out as the best, I hear you ask? Well, for starters it's a made out of a very soft material, which this means that it's really gentle on the skin whilst apply product perfectly and leaving a lovely natural finish to the skin with minimal effort. I love the shape, the density, how it works with liquid product. Basically everything you can love about a sponge... I feel for this badboy. It washes well + doesn't soak up too much product. I'm going to stop before this starts to get weird, because at the end of the day, a sponge is a sponge. But this is the best sponge in my opinion. Miles better than the Beauty Blender (which I also like, just not as soft on the skin). But it's miles cheaper too! Check the website and read some of the 5 star reviews for yourself. I'm not affiliated with them I'm just really passionate about this bloody sponge haha. I now realise I've written a whole paragraph.. on a sponge.. and I'm stopping myself before I go any further. You can find some of their brushes on Beauty Bay here, or head to their website for the full range. The sweetest little konjac sponges free from synthetic dyes and fit with a flower indent to measure out the perfect amount of cleanser. I'm obsessed with this brand, and their winter releases are really worth having a look at. They do makeup as well as sincare and everything comes packaged with a real luxury feel. I talk about Sukin all the time so I'll keep it brief - I really think one of their face masks would make a nice present. I like the Hydrating Face Mask. Also it comes in a dark green pot, how xmas appropriate ey! You can pick Sukin up at Boots + TK Maxx, as well as online. Recommended by skincare expert Georgia from The Brightoner, these guys are all natural + cruelty free as well as most of their newer products being vegan. Their products are free from mineral oil, parabens, SLS, fillers and petroleum. Another Georgia favourite, Moogoo is the skincare brand behind Dusty Girls (who do some lovely makeup bits that would make a nice prezzie too!). Check these guys out for cruelty-free skincare goodness - it's not all vegan but a nice selection is! A lovely UK based brand that you can now find in Holland + Barratt. Soy handmade candles free from any nasties + animal derivatives. My personal favourite scents in the range are Christmas Pudding, Lavender and Birthday Cake. These are really affordable and start at just £6 - so would make great stocking fillers or secret santa gifts! This website does a curation of beautiful lifestyle, travel and beauty products - all ethically made and vegan. Head to House of Kind for stationery, cushions + more. A really lovely Nottingham based jeweller I came across at a local pop-up indie market. Inspired by the magic of nature and an extreme appreciation for the Earth, her pieces are really beautifully crafted and includes rings casted from twigs she finds on walks in woods. She's also vegan! So her range is entirely vegan and all packaging is sustainably sourced. Amazing. I've been day-dreaming over this brand for years now. They do eco-conscious handmade jewellery using sustainable materials. The craftsmanship that goes into each piece is so admirable and she's got a great selection of pieces on the site. Definitely one to check out. If you're looking for Picasso-eque silver jewellery, look no further. I absolutely love the set I bought from this Nottingham based jeweller + I think they would make such unique gifts. They're pretty affordable and easily customisable if you get in contact with her. Unfortunately I don't think she's currently making any sets at the moment, but thought I would include her brand anyway because hopefully she will again soon! I thought I would also list my favourite sites that sell natural / ethical products and gifts in case you're interested. Please note, not everything on all of these sites is cruelty free + vegan but most of them have vegan sections in their menu. If you have a sustainable / vegan / ethical brand or product to recommend, do leave me a comment! I will of course leave your blog name in this post along side your recommendation. I'll be updating this list as we go along as I'm super busy at the moment with deadlines. Thanks everyone! Shop small where you can.